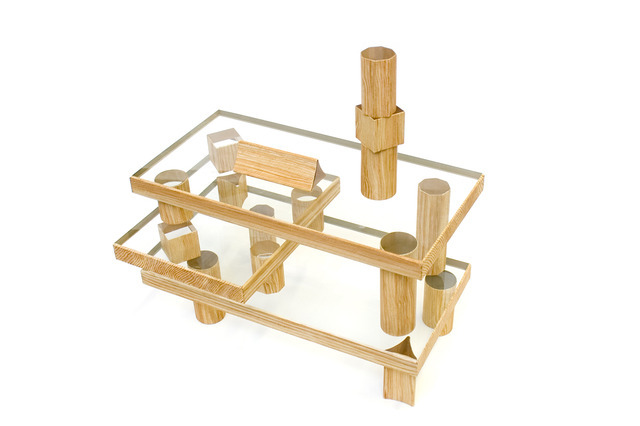 With its simplicity and abstract form, a set of wooden building blocks lets us construct anything. It could be a wooden hut or a glass clad modernist building, and in the process the material becomes metaphysical. Whether the blocks… shall be considered wood or glass is a point that cannot be determined by either you or me. Glass building blocks, partially hand painted to resemble wood.